Marietta National Cemetery | Just Shooting Memories! Just outside the heart of downtown Marietta Georgia is a single knoll surrounded by chest high walls. It is a quiet place among the bustle of a modern 21st century town. On top of the knoll is a flag, a rostrum and a memorial to those who have fought and died for the sake of freedom. 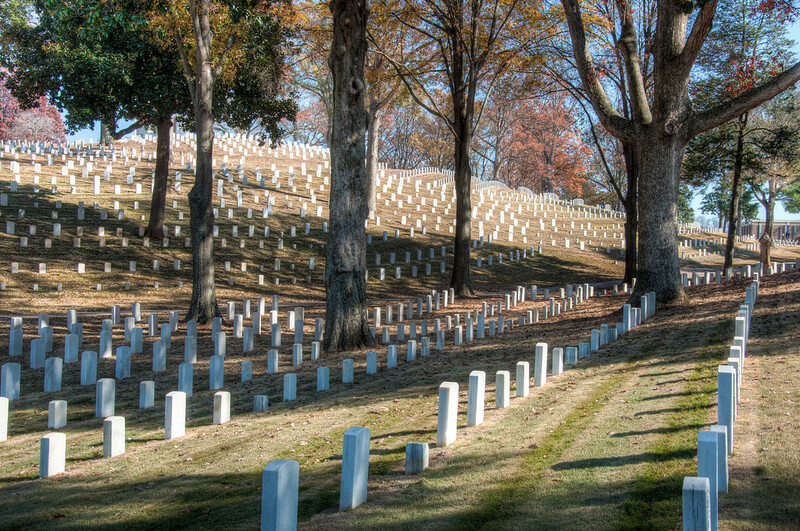 Looking from outside the cemetery, you see row upon row of headstones lined up around the hill in orderly fashion.